By Suvirkštis Creek, there is the Ivangėnai (Karšuva) complex of archaeological monuments. It consists of two mounds, the settlement at the foot of the mound, and the burial ground. 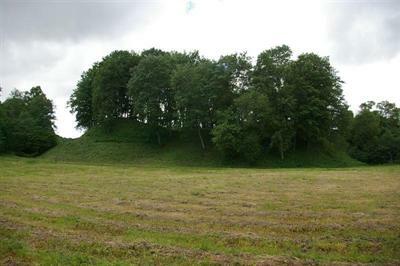 The main mound (Pilaitė) is situated on a separate hill in the valley on the left bank of Suvirkštis Creek. The second mound is 100m southeast from the main mound, on the cape, on the left bank of Suvirkštis Creek. Southwest, on both banks of Suvirkštis Creek, there is a settlement at the foot of the mound.